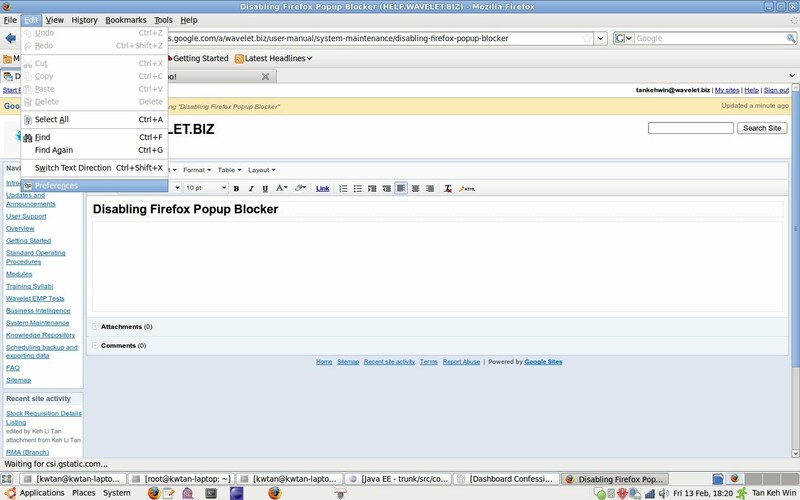 EMP requires that your popup blocker be disabled before you can properly use the system. 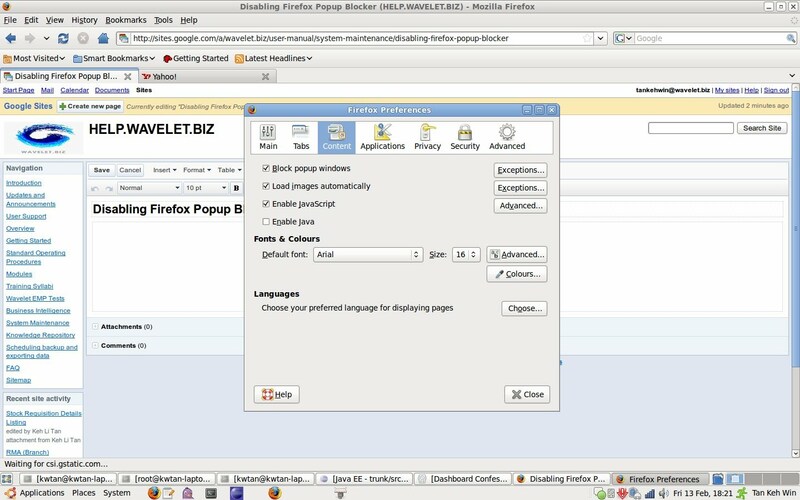 Below you will learn how to disable the popup blocker in the Mozilla Firefox web browser. Click on Edit, then Preferences. In the Tabs tab, make sure the New Pages Should Be Open In: option is set to A New Window. Then click the Content tab. Your browser can now use EMP properly.